Q What qualification will be studied? A Customer Service at level 3 (A level equivalent ) will be studied. Q How long will the qualification take to complete? A The Customer Service level 3 qualification takes 18 months to complete. Q Can you opt not to complete the qualification? A No. This is a development opportunity to gain a qualification and develop relevant skills which relate to the PCSO role. Completion of the qualification will also be a condition of employment. Q Will I be paid a wage whilst I am studying? 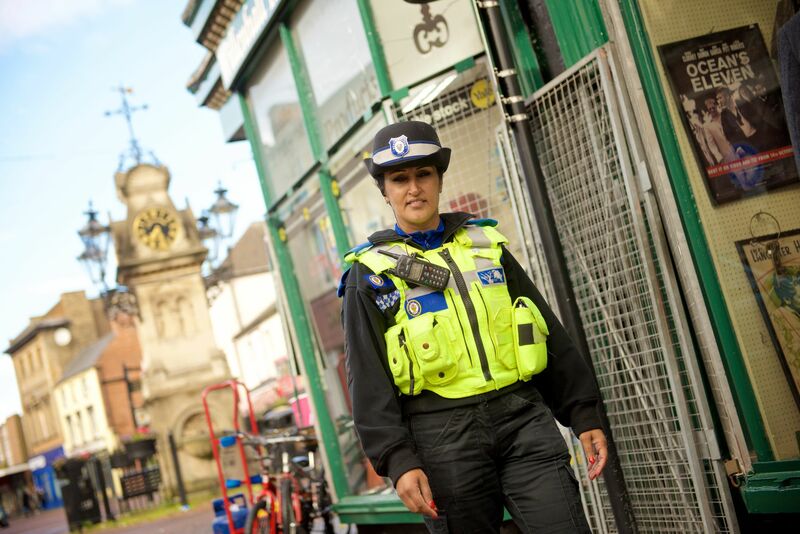 A Yes, the newly recruited PCSOs will be paid the full salary for the role but will be expected to fully complete the qualification over an 18 month time frame. Q Will I have to attend training on a day release basis? A No. The programme is a work based programme, which means that for most of the studying your assigned assessor will visit you in the work place. You will be given an hour per week to prepare or complete work to be assessed, and you may need to complete a small amount of the qualification in your own time. Q Do I need qualifications to get onto the programme or to become a PCSO? A No you do not need to have other qualifications to complete the level 3 Customer Service programme or to become a PCSO. It is expected that applicants have a good level of spoken and written English to be able to complete the course and to do the job effectively. PCSO Jack Evans speaking to youngsters about stranger danger. Q What if I fail the qualification? A The newly recruited PCSOs will be assigned an individual assessor and will receive regular coaching and assessment visits to enable the individual to work through any issues to ensure that the qualification is successfully completed. Q Will I receive any other training other than the Customer Service level 3? A Yes. 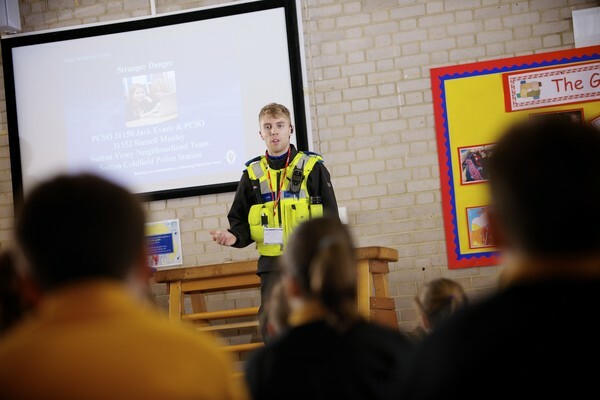 For the first six weeks of their employment all PCSOs complete a training course to gain a thorough understanding of the role and West Midlands Police processes and procedures, to ensure that employees are fully equipped to do the job safely and effectively. The Customer Service level 3 programme will begin once the six-week training course has been completed.